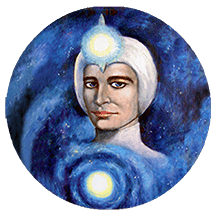 Commander Ashtar of the true Ashtar Command works under the guidance and authority of the Collective Christ headed by Lord Sananda, the Christ Teacher for the Earth. The main Ashtar Command Mother Ship is home to Commander Ashtar and Lord Sananda as he gives spiritual guidance to Commander Ashtar's Mission to Free the Earth and Humanity from the MATRIX by 2045. The Ashtar Command Members, aboard Ashtar's Main Mother Ship, are unique in their varied talents and represent the best of the best the Ashtar Command has to offer.